Virginia Governor Terry McAuliffe joined law enforcement for a press conference after the horrendous shooting at a congressional baseball game Wednesday morning. “We lose 93 million people a day,” he erroneously stated. At that rate, all of America will be wiped out in only 3.5 days! After the Virginia shooting aimed at Republican lawmakers, McAuliffe wasted no time calling for more gun control. At a time when the focus should be on victims and their families, McAuliffe urged people to back his leftist ideals. McAuliffe might reconsider politicizing the shooting as four Republicans lie in hospital beds from their wounds. Particularly since a Bernie Sanders supporter shot these Republicans. Why would this lunatic target Republicans, when it was Democrats who stole the election from Sanders? That just goes to show you that Democrats are good at getting people to attack Republicans for nothing. And instead of talking about guns, why isn’t McAuliffe asking for a ban on Sanders supporters or leftists in general? Undoubtedly, leftists represent the most violent people in America, if not the world. Make a weapon illegal, and you can bet leftists will have the banned weapon in massive supply. “It’s not just about politicians, we worry about all of our citizens,” he said. “Why are you bringing it up? People are going to criticize that you are bringing up gun control at this time?” a reporter asked. Then McAuliffe repeated his statistic. Sadly, he very well may believe it, as most leftists can’t fathom even remedial math. However, after reporters heckled McAuliffe, he corrected himself. “93 individuals a day,” he said. And how many lives do guns save per day? Did any reporter think to ask how many lives the guns of the Capitol Hill police saved? Rep Mo Brooks responded to the Governor’s comments. Brooks wasn’t the only one who countered the governor’s arguments. The Justice Department investigated McAuliffe last year for taking illegal campaign donations from a Chinese business mogul. It was unclear what suspected violation triggered the investigation, but CNN reported that authorities apparently were interested in $120,000 worth of donations made to the McAuliffe campaign by Chinese businessman Wang Wenliang. Mr. Wang has made sizable donations to the Clinton Foundation, run by former President Bill Clinton and Democratic presidential front-runner Hillary Clinton. He pledged $2 million to the foundation in 2013 through his company Rilin Enterprises, according to CBS. 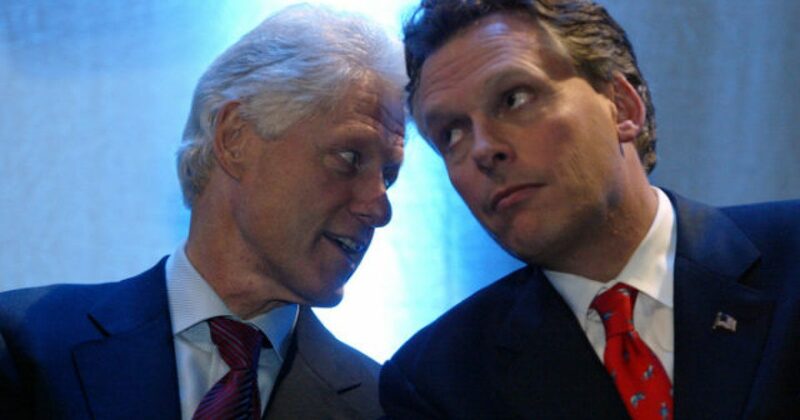 McAuliffe is also tied to failing ‘alternative energy’ companies Obama sank billions into. He promised jobs and green energy, yet failed to deliver either one. Seems like anywhere you look, the leftist hypocrisy is there. It’s one thing to be a hypocrite, but it’s quite another to use a national tragedy to push a political agenda before the dust settles.